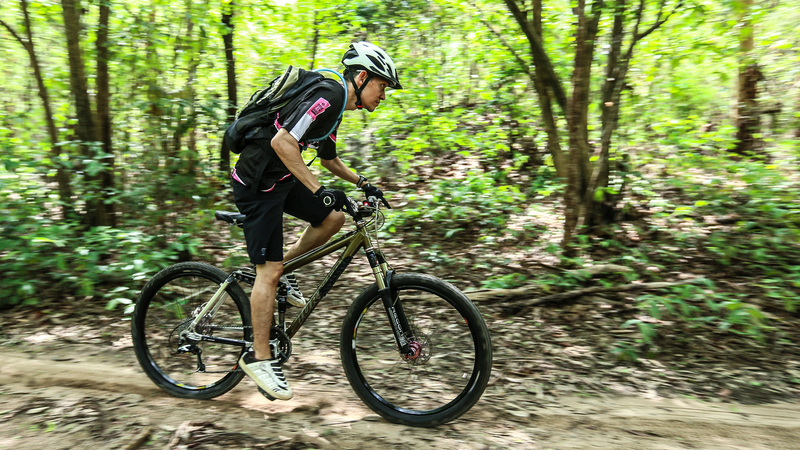 Are you looking to take a small stroll, large hike, or a challenging mountain bike ride? Look no further than the Route 66 Hike & Bike Trail at Lake Lou Yaeger. In honor of the Route 66 influence in the city center, a round trip trek on this trail is approximately 6.6 miles. Trail heads are indicated by signage and accessible at any picnic area or playground. The trail is complete with trail markers and maps. From April 1 to October 31, bathrooms are available at each picnic area the trail passes. Make sure to bring water and food with you. Also make sure to wear appropriate walking shoes for uneven terrain. Other items you may want to consider is bug spray, basic first aid, binoculars, and a camera. Mountain bikers will not get bored with this trail. Each portion of the 6.6 miles of the Route 66 Hike and Bike Trail will test a different level of your skill set. To practice some of the obstacles you will encounter on the trail, a practice loop is located at the far south end of the trail at Picnic Area 4 (use 4 Marina Lane for your GPS). Plan your own hike on the Route 66 Hike & Bike Trail. Spend all day outside and traverse all 6.6 miles of the down and back trail, or stroll on shorter portions of the trail from picnic area to picnic area, or walk one of the trail loops. With uneven wooded terrain this trail would be considered easy to moderate depending on the area. Hikers will encounter flat terrain to steeper downgrades. 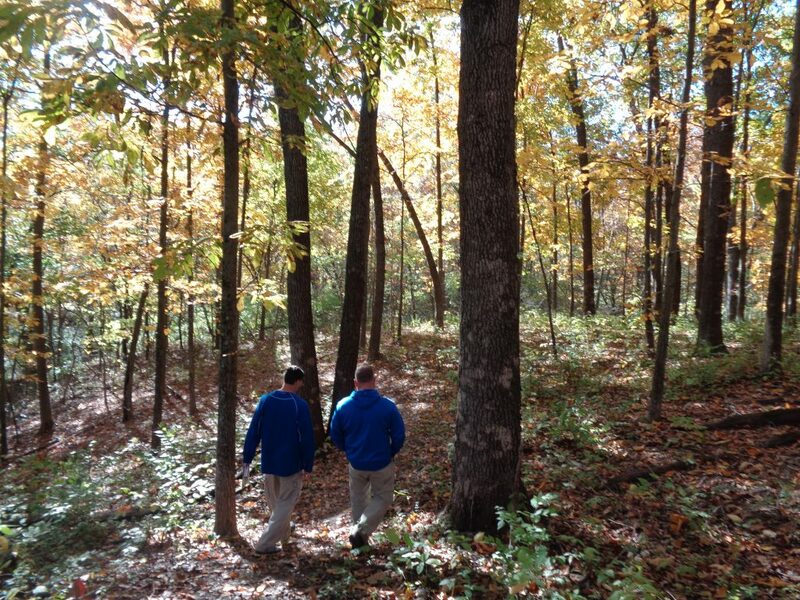 If you are looking for a shorter nature trail, consider walking Shoal Creek Conservation Area. Because the Shoal Creek Conservation Area has so much to offer, we have a separate page dedicated to what you can find there. You are welcome to bring your furry friends along for the fun. However, per city ordinance, dogs must remain leashed at all times. For the safety of horse-back riders, dogs are prohibited on horse trails.